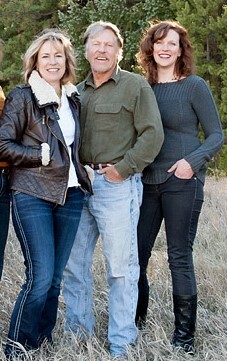 Our team has all lived in the foothills communities for over 25 years. We are a part of the community and invite you to be too! We encourage you to live your vacation every day of your life. Our area is an easy commute to Denver and DIA and the technology and ample services allow you to never go to the city if that is your goal. We will help you find your perfect LAND TO CONSTRUCT YOUR DREAM HOME, or an EXISTING home, all in the environment you dream of. We have been building successfully in the mountains since 1993. We have countless homes for your viewing pleasure that are accompanied with references from happy clients. We have created a team that works closely with you on your financial goals and incorporates your goals into whichever path is the best fit for you. We enjoy our clients and our goal is always to achieve a lasting friendship. There is plenty of room for new great friends and neighbors. Let us know how we can help. We'd love to share your adventure!